More from my trip to Arizona. 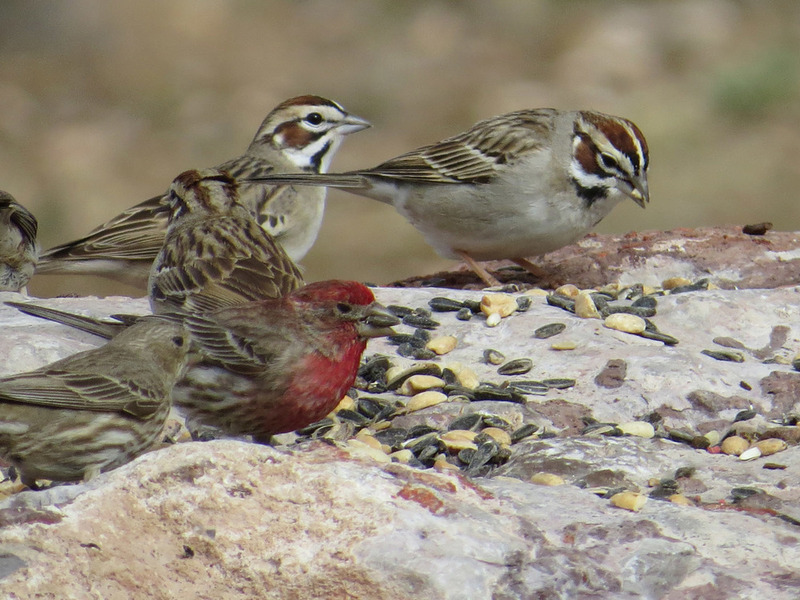 The feeders in the backyard of my hostess's house had many visitors, but the most numerous were the beautiful lark sparrows. 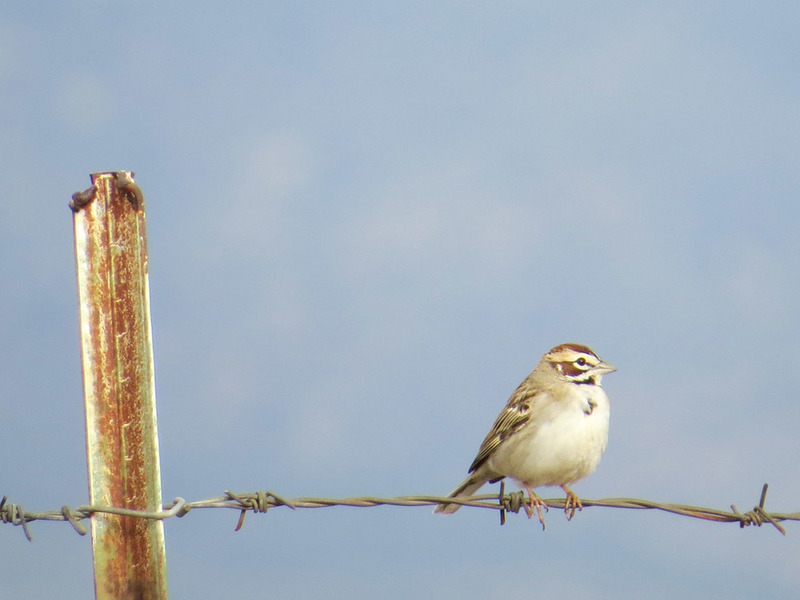 Although I saw a house sparrow here or there, the lark sparrows provided the daily song and beauty. These photos and video were shot in Camp Verde, Arizona, from April 29-May 3, 2016. 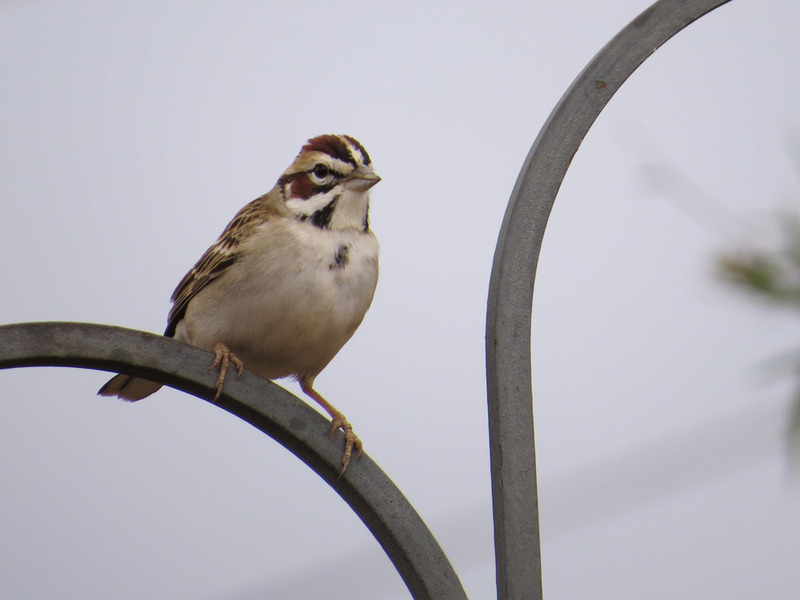 These striking birds have very strong stripes and a spot on the chest that reminded me of the song sparrows we see here in Central Park. 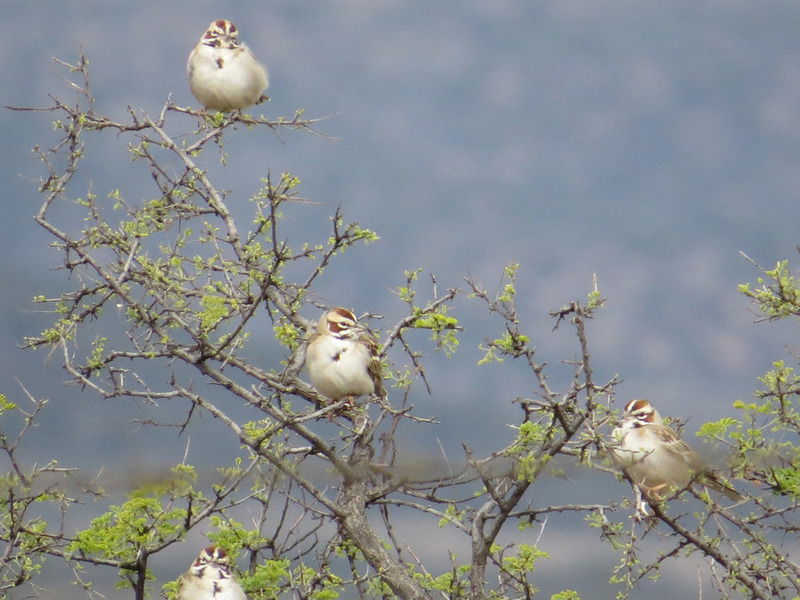 One of my favorite sights while I backyard bird-watched was the "lark sparrow tree," when a nearby tree would "leaf out" with these lovely little birdies. 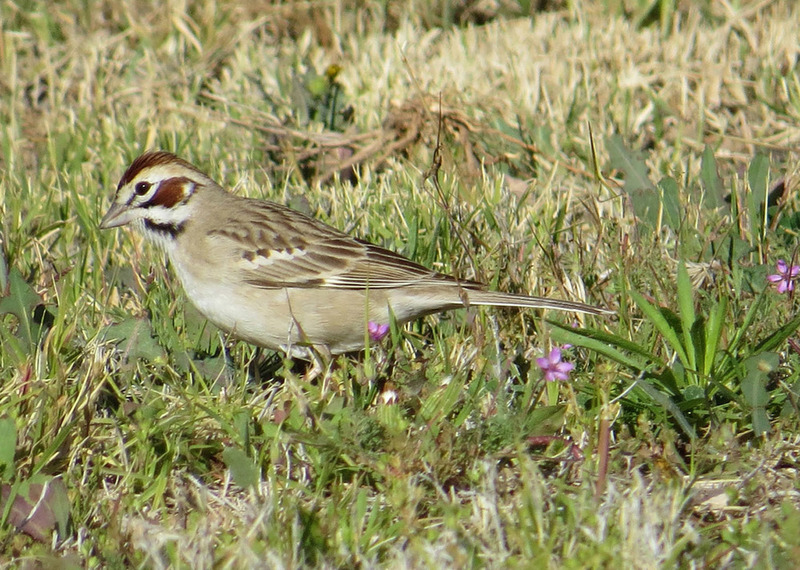 I understand that these birds are decreasing in number east of the Mississippi, but are still thriving in the West. I've added a short video to the Filming the Feathers series to celebrate these feathered beauties, set to a recorder sonata by Handel. Newer PostSpa Time for Cedar Waxwings!